The Faulkes Telescope Project is the education arm of Las Cumbres Observatory Global Telescope Network (LCOGTN). 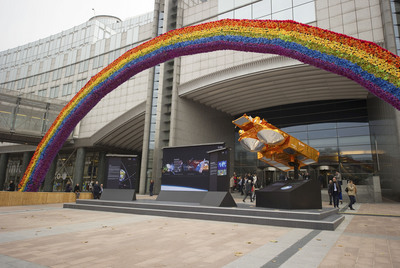 The aim is to provide free access to robotic telescopes and a fully supported education programme to encourage teachers and students to engage in research-based science education. 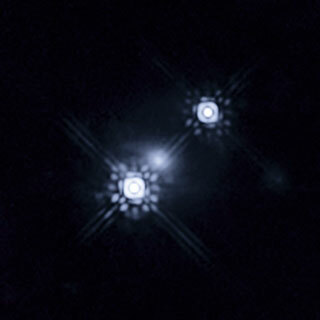 LCOGTN operates a network of research class robotic telescopes. Currently there are two telescopes, one in Hawaii and the other in Australia. These telescopes are available to teachers for them to use as part of their curricular or extra-curricular activities and are fully supported by a range of educational materials and a team of educators and professional astronomers. 24 The Draconides 2011 and comets! Spain CEIP "Salvador de Madariaga". Daganzo (Madrid) Elena Alcacera Pérez Luis Fernandez Codeseda (9 years), Fidel Martínez García (9 years), Elia Sufuentes Arija (9 years). Project 3 My EX Hydrae observations, Młodzieżowe Obserwatorium Astronomiczne im. Kazimierza Kordylewskiego w Niepołomicach, Poland. Project 32 Moon project, Escola Salesiana "Mare de Déu dels Dolors, Sant Boi, Barcelona, Spain. taken on June 25, 2008 and May 21, 2010 by NASA's Mars Reconnaissance Orbiter. Image credits: NASA/JPL-Caltech/Univ. of Ariz./JHUAPL. 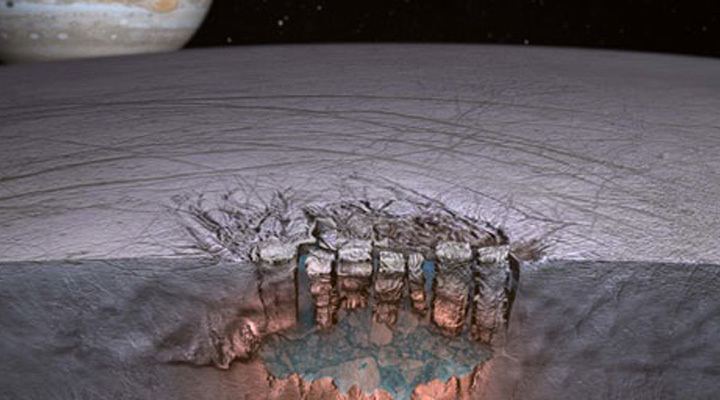 Artist's concept depicts Europa's "Great Lake. Image credits: Britney Schmidt/Dead Pixel VFX/Univ. of Texas at Austin. 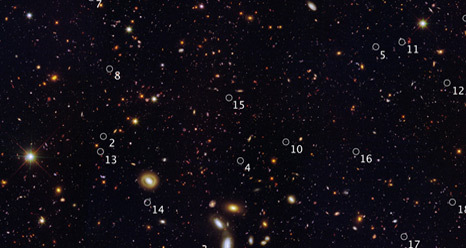 18 tiny galaxies discovered by Hubble Space Telescope. Image credits: NASA, ESA, A. van der Wel (Max Planck Institute for Astronomy, Heidelberg, Germany), H. Ferguson and A. Koekemoer (STScI. ), and the CANDELS team. 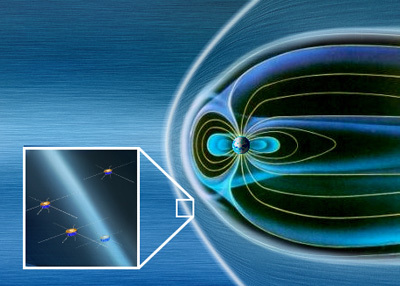 Artist's impression of the four Cluster spacecraft flying through the thin layer of Earth's bow shock. 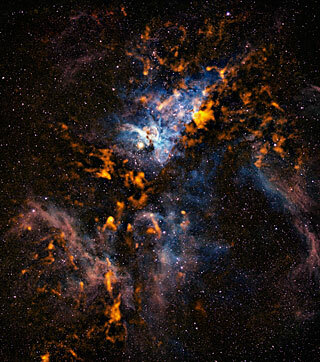 The cold stellar formation clouds in the Carina Nebula, seen by APEX. How can a world without air have an ionosphere? Somehow the Moon has done it. Lunar researchers have been struggling with the mystery for years, and they may have finally found a solution. Rembrandt, the second largest impact basin on Mercury discovered during the second MESSENGER flyby. NASA has announced that it will extend the MESSENGER mission for an additional year of orbital operations at Mercury beyond the planned end of the primary mission on March 17, 2012. 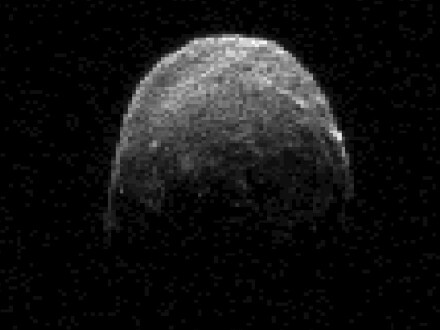 The MESSENGER probe became the first spacecraft to orbit the innermost planet on March 18, 2011. 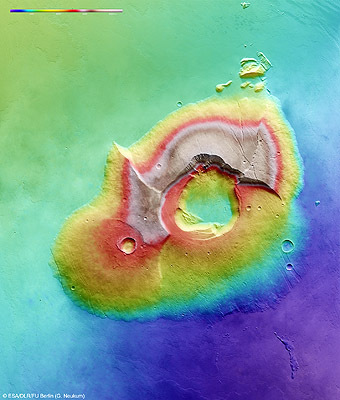 “We are still ironing out the funding details, but we are pleased to be able to support the continued exploration of Mercury,” said NASA MESSENGER Program Scientist Ed Grayzeck, who made the announcement on November 9, 2011, at the 24th meeting of the MESSENGER Science Team in Annapolis, Md. The spacecraft’s unprecedented orbital science campaign is providing the first global close-up of Mercury and has revolutionized scientific perceptions of that planet. The extended mission will allow scientists to learn even more about the planet closest to the Sun, says MESSENGER Principal investigator Sean Solomon, of the Carnegie Institution of Washington. 1. 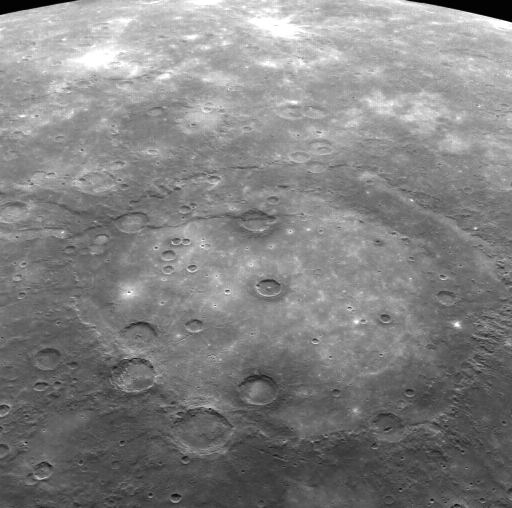 What are the sources of surface volatiles on Mercury? 2. How late into Mercury’s history did volcanism persist? 3. How did Mercury's long-wavelength topography change with time? 4. What is the origin of localized regions of enhanced exospheric density at Mercury? 5. How does the solar cycle affect Mercury’s exosphere and volatile transport? 6. What is the origin of Mercury’s energetic electrons? 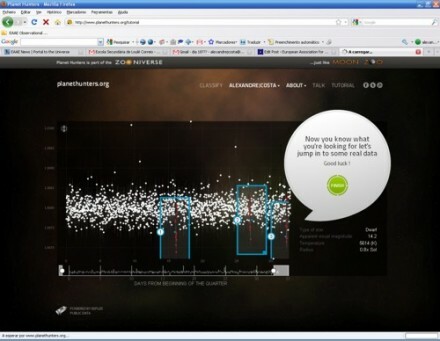 Zooniverse team has announced the addition of Kepler Quarter 3 (Q3) data to the interface at www.planethunters.org. This means that there are an additional ~90 days worth of Kepler observations for you to sort through, nearly doubling what they had before - meaning you should be able to find longer period planets hidden in the data. There is still some Quarter 2 data left to search through, and the site will be showing a mix of the two quarters. 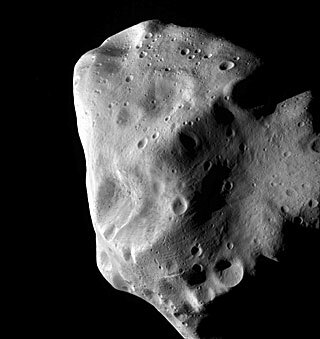 Close-up view of Lutetia by ESA's Rosetta. Image credits: ESA 2010 MPS for OSIRIS Team MPS/UPD/LAM/IAA/RSSD/INTA/UPM/DASP/IDA. Tharsis Tholis towers 8 km above the surrounding terrain. A NASA space telescope named "GALEX" has found stars forming in extreme galactic environments, places where researchers thought stars should not be. The finding could affect astronomy much as the discovery of microbial extremophiles affected biology in the 1970s. In three years, NASA's Fermi has detected more than 100 gamma-ray pulsars, but something new has appeared. 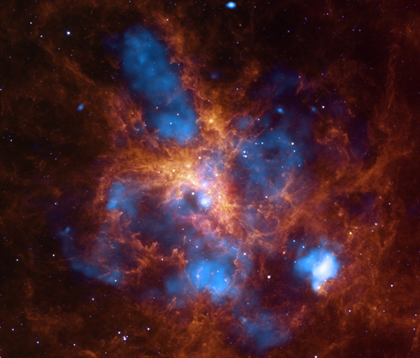 Among a type of pulsar with ages typically numbering a billion years or more, Fermi has found one that appears to have been born only millions of years ago. 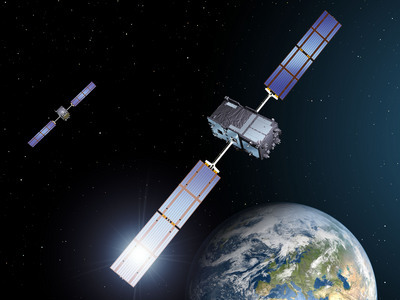 Artist's impression of the first two of four Galileo In-Orbit Validation satellites. At last the 'journey' is at an end for the Mars500 crew of six, who complete their simulated mission to Mars on 4 November. Watch the replay of the hatch opening and the egress of the crew, including the two ESA volunteers Romain Charles from France and Diego Urbina from Italy.